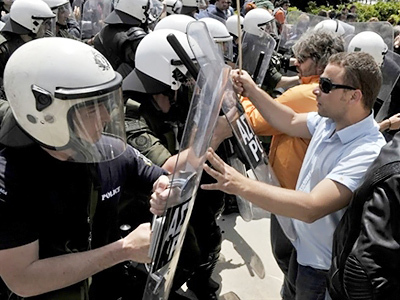 Mass protests have once again erupted in Greece after the government adopted an austerity plan to meet the demands of the EU and IMF creditors. Without it, the country may not be able to pay its sovereign debt and even be forced out of the euro zone. The wave of protests has been intensified by new sources of activists when on Wednesday, Greece saw the first-ever rally organized by the so-called “movement of concerned citizens”. The 2,000-strong protest was organized through social networking services and involved people not associated with trade unions. Smaller rallies took place in several other Greek cities, including Thessaloniki, Volos and Katerini. The protests came in response to a plan adopted by the government on Monday. It includes budget cuts, tax increases and privatization of national property. Government plans to add an extra six billion euros to the budget through cuts and taxation this year and a further 22 billion euros between 2012 and 2015. Greece will also privatize a number of companies in several industries including telecommunication, banking, ports and railroads, energy, defense and the extraction of mineral resources. 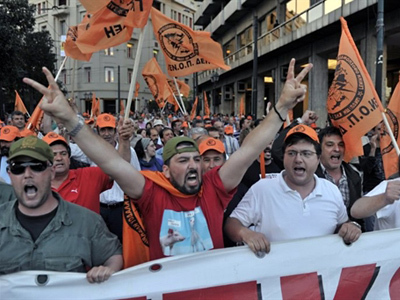 The privatization will return some 50 billion euros into the national coffers by 2015, the government expects. The controversial plan will help Athens tackle the problem of its 340 billion euros national debt. The measures are also a prerequisite for a new trench of the 110 billion euros aid program set up by the EU and the International Monetary Fund. Without the trench, Greece may well be facing a sovereign default, Greek Prime Minister George Papandreou warned. Leader of the opposition party New Democracy Antonis Samaras said on Tuesday that the measures don’t solve the country’s financial problems and requires sacrifices on behalf of Greek people without any prospects of a future. The party holds 86 seats in the Greek 300-member parliament, while Papandreou’s Panhellenic Socialist Movement has 156. On Thursday, the Greek newspaper Kathimerini reported that Papandreou was considersing a cabinet reshuffle to win the support of the opposition. Political unity in the face of the debt crisis is one of the conditions for the aid program. Trade unions launched a new wave of protest in response to the announcement of the government’s austerity plan. They say the mass privatization will result in a rapid surge of prices for vital goods and services and will make crucial industries like tourism and banking vulnerable. The latest opinion polls show that about 60% of Greece’s population is against the harsh economy policy of the government. The ongoing financial crisis in Greece is one of the biggest concerns for all of the euro zone countries. The situation involves risks, which are difficult to calculate. "There exists no precedent for a country that was forced to default on its payments within a monetary union," German Finance Minister Wolfgang Schaeuble said on Thursday in an interview. A Greek bankruptcy could have "more dramatic consequences than the collapse of Lehman Brothers," AFP cites the minister, who was describing a variety of possible scenarios. Earlier on Wednesday, the EU's fisheries commissioner, Maria Damanaki of Greece, said the country may be forced out of the euro zone unless it copes with the crisis. The practical implementation of such an exit strategy is a subject which evokes much doubt, however "Even leading economists could not explain to me how a temporary exit from a currency union could practically proceed," Schaeuble commented. If Greece leaves the euro zone, other Southern European countries, also struggling to meet the conditions of their debt criteria, might soon follow, Alexander Law, Chief Economist at French financial researcher Xergi Group told RT. “The only other solution, let’s be extremely clear about this, is that European countries agree to bail out each and every country which has problems. 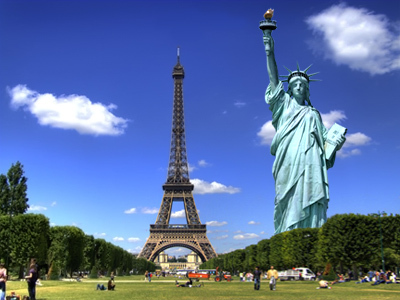 That would be in effect a fiscal union,” he added. 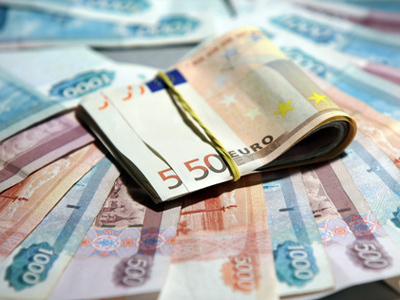 ­In the face of financial turmoil, potential new members of the euro zone are putting adoption of the currency on hold. “As long as Greece remains the bleeding wound of the monetary union, the euro does not seem as attractive as it used to be and as it may yet become again,” head of the Poland’s national bank Marek Belka told in an interview to Financial Times newspaper.